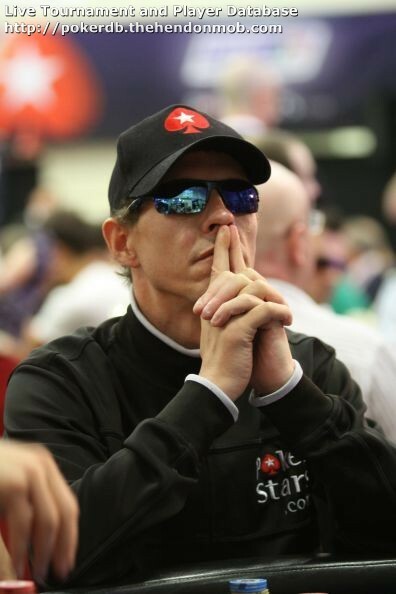 May 2014 – William Elliot – A poker blog. ‘The Plan’ – How I attacked a final table like no one before. My name’s William Elliot. 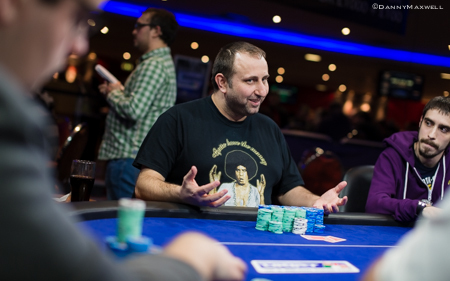 I recently final tabled the £1,100 buy in UKIPT Nottingham, finishing 4th from a starting field of over 1,200 players, for the biggest score of my poker life, £67,000. ‘Big Willie’ Apparently – A Man With A Plan! ‘The Plan’ was to bully a table of professional poker players into submission, while I picked up all the blinds & antes. My chip lead and having position on the most dangerous players, who had medium stacks, made this a fantastic opportunity for me to do something a bit out of the ordinary. The edge some of these players had over me also meant it was not in my interests to play a conventional game of poker. More often than not, the superior skills they had meant they would win. Recognising the level of your own ability is one of the most important things in poker, playing advanced, intelligent, thoughtful plays against unthinking players won’t be successful, equally trying to compete with some of the best poker minds when you recognise you are playing at a level beneath them, that is also doomed to failure. My best chance of winning was to stop the best players playing. This resulted in me executing ‘The Plan’. While learning how to play low stakes poker tournaments online, I realised most people who make final tables are relatively inexperienced in that setting, it’s so rare that you come through hundreds or thousands of players and get that opportunity at the bigger payouts. So when that opportunity does arise, you want to be as best prepared as possible. This led me to 6 max hyper turbo sit ‘n’ gos. I played a huge volume (by my standard) of these to recreate the short stacked, short handed nature of final tables. I became an entirely break even player at these games but I did learn 1 important lesson, how to play a bubble. In 6 max, only 2 get paid, so when you are 3 handed if you make a mistake or get unlucky you win nothing. I started off by just getting the 3rd guy out with no thought to the heads up game I’d be about to play. This was a mistake, the pay jump from 2nd to 1st is as big as the pay jump from 3rd to 2nd. 2nd place gets a 200% return on the buy in, 1st gets a 400% return. I realised I needed to be in the best shape possible for this heads up match. Whenever possible, if I had the chip lead 3 handed, I would always go on an all out attack against the medium stack to get them to fold and blind down, while I was folding to a short stack to keep them alive long enough so that I could have a huge chip lead over the next biggest stack and get to dominate the heads up game when it inevitably came. 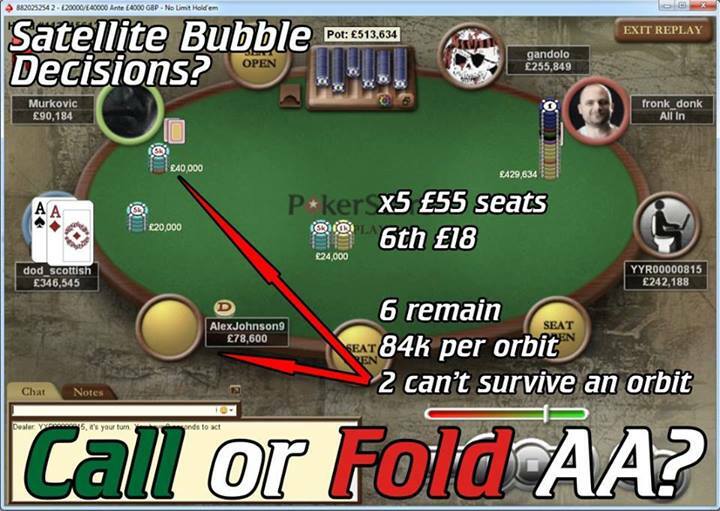 This deliberate decision to maintain the bubble and keep picking up chips was the basis of my thinking for ‘The Plan’. In 2013 I won the Big $22 on PokerStars for $12,000. When we were down to about 30 players, I was sitting 3rd in chips, with the chip leader 2 to my left, a player called ‘dragonwarior’. I didn’t get too many premium opening hands but whenever I opened, he 3 bet me, literally 100% of the time, 3 betting any time I bet, the hand strength was never good enough to continue but I was forced to look at my position on the leaderboard and the payouts. The harsh reality dawned on me, that if I busted now, in 30th, I’d pick up a $178, whereas a 3rd place finish was good for $6,500. My hands were tied, I literally couldn’t play from this position. It would have been such a huge mistake for me to get my stack in with anything less than AA and even then there’s an argument for passing that. An orbit later after opening KJ suited and getting 3 bet again, the very next hand was the fabled AA. I duly opened again, my friend the chippy now 3 bet shipped 70bb effective, I snap call and my AA holds up vs his KTo. I go on to win this and bust him 3 handed where ironically he makes a huge ICM mistake, calling off 5 million from a 5.5 million stack with TT vs my AK that I 5 bet overjammed, K on the flop and he busts next hand. The guy who made it to 2nd only had 700k. Had my opponent jammed his TT, I would have passed my AK and maintained my 5 million stack and made sure I locked up the $2.8k pay jump before playing heads up for a further $3.2k pay jump. I owe a debt of gratitude to ‘dragonwarior’, he taught me more about ICM that night than anything I’d read before or since. Thank you sir, that lesson was hugely appreciated and has earned me more than I won that night, many times over. ‘The Plan’ – Donald Elliot Style. 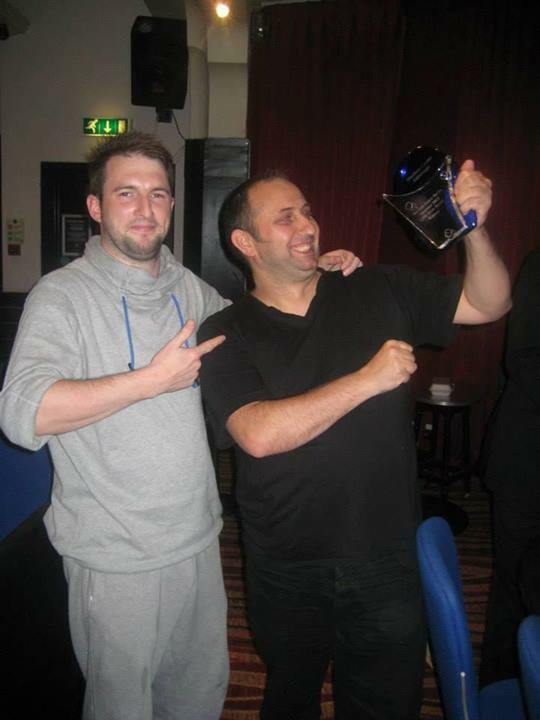 My brother Donald ‘Dode’ Elliot won the £330 side event at Edinburgh UKIPT in season 3. We constantly bounce strategy and spots off each other, poker makes up a large part of our discussions and we are just desperate to constantly learn & improve our game. His final table had some amazing players, guys like Steve Watts & Craig Sweden, they both take bad beats & bust early with 3 outers & 2 outers hitting against them, Dode knows he’s dodged a bullet. Both these guys play at a very high level and they would have been favourites to win but for their misfortune. The chip leader at the table appeared to just be sitting out and waiting for players to bust and this gives Dode the opportunity to take control and dominate the table, executing his version of ‘The Plan’, stealing blinds, busting players and eventually taking the chip lead. He goes on to win and I see a clear example of how to play power poker, the massive reward for winning and how absolutely not to play a big stack. A complete wasted opportunity for the guy who made the final table with the chip lead. He laddered up fine but was never in contention to win. I won the Scottish Poker Series in Edinburgh last August for £12,000. I made the final table 2nd in chips but with position on the chip leader, 2 to my right. A flurry of big hands early saw me take the chip lead but I had to tread carefully as, at the table, I had 2 of the best young players in Scotland Mudasser ‘Makka’ Hussain, an absolute bawse of a player, & Kyle Maguire, who’d just come 3rd in the Sunday Million on stars the week before. The edge these guys have over me ability wise is substantial, they are phenomenally good players. Fortunately I kept getting good hands and good flops and I kept chipping up. A few bust outs and a sick flip busted Makka and we are now 4 handed, me with the chip lead, Kyle Maguire out of position to me with a healthy 2nd in chips and 2 short stacks to my left. My experience of the bubble situation in 6 max hypers meant I knew I had to get Kyle chipped down substantially to give me a decent chance before we played heads up. So I execute ‘The Plan’. He can’t get to the blinds of the short stacks without going through me, I was 3 betting my entire range vs him because it would have been a huge mistake for him to risk his stack now and lose thousands in equity. If a short stack opened and he 3 bet, I’m now 4 betting him, again with my entire range. He inevitably has to pass all but the top 1% of his range. Anything else would have been a mistake. He has no choice but to tick the sit out box. ‘The Plan’ worked. Extreme abuse of ICM situations let me pick up so many uncontested chips, I was able to stroll to a win. I played the spot hard, my cards were irrelevant, having a solid strategy and executing it well, really paid off. I didn’t need to win a flip or be on the right sight of a cooler, I’d moved beyond the cards dictating the outcome. It was quite a revelation. After a great year last year, online and live, for a recreational player, I started this year with optimism, alas, I bubbled 4 out of 5 live tournies with another run of huge bubbles in online satellites. All this missed cash was worth about $10k, which was massive at the level I was playing at, added to that, my bankroll was needed to help out a friend with a loan. This was unavoidable but it left me with virtually no funds to play. So I didn’t for a few months. I still had the passion and followed the game relentlessly but playing was limited. That was difficult to take and it looked like 2014 would be a very quiet poker year. During this time of sparse playing, I encountered a few extreme ICM bubble situations and engage in conversation with the ICM master, Dara ‘Doke’ O’Kearney. One of the nicest guys & wisest poker minds around. Along with the other lads in ‘The Firm’, they are crushing poker just now. They dominate UKIPT leaderboards and they are incredibly tolerant of excitable fanboys who constantly pester them. Thanks guys. With Dara’s wisdom, I was helped to see clearer the mistakes people make and how to exploit those mistakes and even more so, how to exploit people ‘unwilling’ to make those mistakes. To execute ‘The Plan’ well, you need intelligent players who recognise the difficulty of their situation and avoid making the mistakes. April arrived with a really good score. I won the Hot $22 for $4.2k, a turbo game that saw me make the final table 2nd in chips. Average stacks were only 15bb so whoever dominated the table was likely to win. This looked like a great spot to execute ‘The Plan’. I played 2 hands and dropped to 9th in chips, it was now going to be really difficult to do anything. Sigh… Then within an orbit I get a few nice hands, KK>A8, and AA>KK vs the chip leader. That was fortunate. Now I’m the chip leader and ‘The Plan’ is back on. I now go on to dominate the table, hoover up all the blinds and antes, get a little lucky with 2 & 3 outers vs short stack jams, but from my AA hand to the win, I pick up 80% of the pots. Most of the 20% I don’t pick up are heads up. I run over the table and they just have to let me while trying to outlast each other. I now have a solid template for how to play as an abusive big stack at final tables. Not long after, I qualify for Nottingham UKIPT, when I spot a good bit of overlay in a 3 seat guaranteed satellite. The Irish Open was running, no Irish regs, and a lot of the other regs were between EPT San Remo & EPT Monte Carlo. This is a great time for players to play sats. These play perfectly, value hands are regularly made and paid off, very few moves required, chipped up steady, coasted across the bubble safely, again more value hands and more value given from mistakes of others. Other than playing a patient solid disciplined game, I can’t take much credit for anything special. As you need to do in poker tournaments, I ran good and I didn’t make any mistakes, on the right side of all the coolers, my tournament life never at risk once. Only 1 bad beat given to 3 outer Joeri Zandvliet, a fantastic player who would have been a serious problem if I hadn’t got lucky. I start as chip leader with 5.6 million of the 24 million chips in play, to my direct right is Ryan Spittles, a fantastic player with 3m, 2 to his right is Juan Benito, 2nd in chips with 4.3m. These are the guys I’m targeting. Other players are dangerous but they don’t have many chips. I have these 2 marked as the most dangerous players to me, I need to stop them accumulating chips and competing against me. If they open, they will be 3 bet with my entire range. I’m relying on the short stacks to keep folding and hoping to ladder up, I’m relying on the medium stacks to avoid large pots with tournament life implications vs me, I’m also aware I need to do most of the damage in the first hour, because when these guys see the hands on the livestream, an hour later, I will have a problem getting away with it any more. It begins… I win the first pot with little resistance, next Ryan Spittles picks up a real hand, AK, my plan still isn’t clear to Ryan so he when I 3 bet him, he elects to call & play out a small pot, we both miss the flop, my aggression takes it down. Then the 3rd hand, then the 4th. Juan opens a real hand ATss, I 3 bet my 44, a 952 flop and my aggression takes it down, with only minor resistance. It is now becoming clear to the table what I am doing, I assure Juan I had a pair, we had a discussion the previous day about integrity, that poker is a sport for gentlemen, I remind Juan of this, he is reassured. My plan continues. 2 orbits later, where I have won maybe 14 of the first 16 hands played, half the table is frozen in fear. But others are failing to adapt and still opening hands they aren’t willing to play big pots with. I was astounded that people were still raising and folding to my aggression after 2 orbits of this abuse. Then Duncan, the wildcard, he wasn’t about to let me run away with this and took a stand. 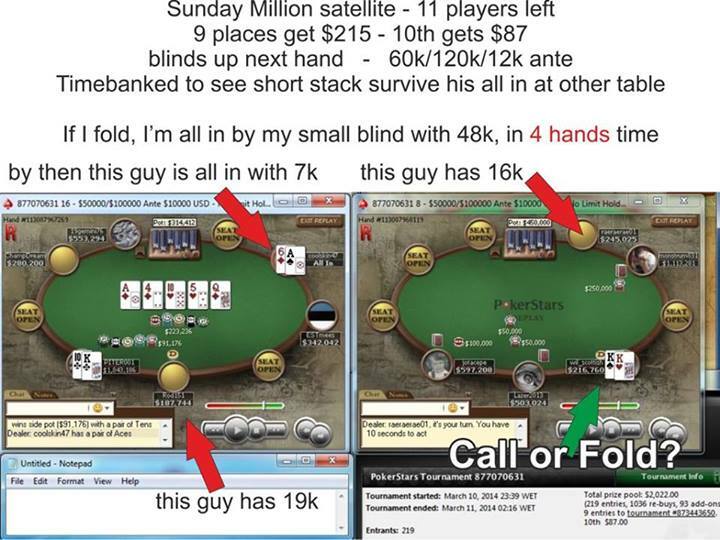 We play out a hand where he opened 55, I 3 bet with A7, he calls and we see a flop of 889. He checks, I c-bet and he check raises for about 40% of his stack. I knew Duncan’s play well from watching the Isle of Man final table, I saw this move often, regulalry with complete air. This was the pivotal moment, if I let this stand, then ‘The Plan’ is finished. I’m pretty sure he never has an 8 or a 9 here, but I thought he probably had a better A than me, 55 was stronger than I expected, but the hands were almost irrelevant. This was pure alpha male aggression, like stags rutting. I could take the hit if I was wrong that I could get him to fold, but stamping my authority on him was so important, he’d now made himself my most dangerous opponent at the table by fighting back, I had to put him in his place. I jam all in and he reluctantly tank folds and is clearly steaming. He was pretty sure I had nothing and his play should have worked, but he ran into someone more stubborn than himself. A stubbornness that I’m sure wouldn’t have any negative implications later, oh no… lol. ‘The Plan’ continues. Another orbit and I’m still picking up 70% of pots. I have a hand where I open Q9 and get jammed on by Trevor for 13bb. I got some criticism on twitter for not calling this jam when I was so clearly priced in. I agree entirely that under normal circumstances, this is always a call with the price I was getting. However, for ‘The Plan’ to continue to work, I need the next exit prize to be as small as possible, so that when I tangled with the medium stacks, their tourney life would always be at risk with the most severe consequence possible, they’d be out in 8th with only £20k. Busting players was very much against the interests of ‘The Plan’. Folding Q9 was the right play for what I was doing. So much so that if Trevor in seat 1, who started as the short stack, if he’d blinded away to 6bb and it was folded to me in the small blind of his big blind, I should be giving him a walk to keep him away from the critical zone. I would have folded AA vs him in that situation. Busting him and picking up his 6bb which then freed up the table to play back at me was the worst possible result. Keeping him alive so I could apply maximum pressure and hoover up 12bb in an orbit from the medium stacks was always going to be much more profitable for me. Folding Q9 and keeping Trevor alive was part of ‘The Plan’. Busting players was not. At least, not yet. Duncan, Duncan, Duncan. In a flurry of hands in a single orbit, Duncan busts 3 players, Jamming 30bb with 44>AQ, calling off a large part of his stack with QJ>A7 and then playing out a 70bb pot with 99>AK. All these flip chips go to Duncan who has position on me, the bustouts increase the guaranteed prizes for the remaining players and they are freed up to play back at me. The whole dynamic of the table has changed and Duncan is now in charge. Duncan has thwarted it. I heard him say at one point, “I have to take these gambles because I’m getting no other spots”. I forced him to take some high variance lines, arguably ICM suicide. But his gambles worked out, it seemed he was the only guy with the guts to fight back and he absolutely deserved to go on to win for giving it a go. Fair play sir, you earned that win. I had some fantastic run good in the 3 days before, so no complaints, but on that final table, I was card dead. I made a total of 3 pairs with flops, folding 1 that was check raise bluffed by Angelo. Premium starting hands were limited to 1 premium ace, the AJss which got outflopped by Duncan and 5 baby pocket pairs, 44 twice, 33 twice, and 22 once. Had I played a conventional game with those cards, I can’t imagine finishing higher than 5th or 6th. ‘The Plan’ probably earned me an extra £20k or £30k. I thought Juan coped well, by shutting down completely. It was amazing to me that people were still raising into me with sub 20bb stacks, with hands they weren’t willing to call off when I re-jammed. I was re-jamming for maximum pressure wanting the fold, but I expected some to calls, they didn’t. Duncan probably adapted best, Jamming his stack and putting the pressure back on me. The stacks who kept raise folding and bleeding away chips, I thought that was the worst thing they could do with me as an aggresive maniac at the table. This isn’t intended as a criticism of the players at the table, I literally wouldn’t know how to play a medium stack against this kind of play either, other than to wait for QQ/KK/AA and set a trap. By then the bully has chipped up so much doubling you won’t dent his stack. The players had there hands tied by the situation I imposed. They couldn’t do anything about it, they were passengers in ‘Big Willies’ car as he looked certain to drive them over the edge of a cliff. How do you play back against that strategy? I would love to hear people’s thoughts. ‘The Plan’ saw me double my stack without a showdown. A final table of experienced professional players was terrorised. people who thought they had a good idea of how I played poker were gobsmacked. My play was ballsy & fearless but ultimatley wreckless. My only regret was that I wasn’t at home to watch it on the livestream. It must have been an amzing spectacle. I hope I entertained those who watched, I certainly enjoyed carrying out this brazen larceny. I give full kudos the gutsy Duncan who spoilt it for me, you sir have got balls. Much respect to you for taking me on. You thoroughly deserved your win. Congrats sir.